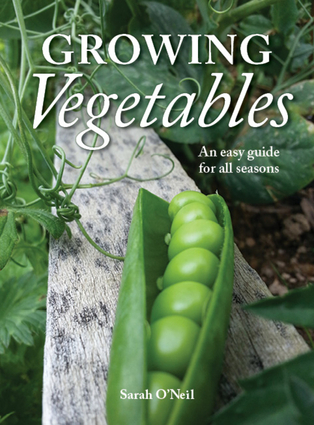 A beginner’s guide to vegetable gardening that includes weekly advice through the growing seasons, for anyone who wants to produce their own food at home.Planning begins in late winter, while the earth is cold and unproductive. Indoors, gardeners get organized, ready for the warmer weather. With helpful advice, Sarah O’Neil looks at making lists, taking measurements, consulting climate charts and explains the information on seed packets, with step-by-step instructions about what needs to be done.Information provided in weekly segments helps gardeners to check their plants for signs, to estimate what needs to be done in the garden, as global climate change has affected the weather patterns of previous years.The most popular vegetables to grow are featured individually on self-contained pages, with information about what to expect it to look like and when to harvest presented for easy reference in one place.Text boxes provide learner gardeners with ‘bluff your way terminology tips’ and horticultural jargon is explained in simple terms. Planting and growing charts are illustrated with graphics and photographs to show height and size obtained through a growing season.The perfect book for people who want to garden, but don’t know how, Growing Vegetables is a simpleguide full of basic advice and will guide readers through the seasons, week by week. Sarah O'Neil is passionate about getting people to grow their own food. "If I can do it, anyone can. "Sarah lives on a lifestyle block in the Waikato with her family: Hubby the Un-Gardener, her two sons, Timand Joey, a cat, goats, chickens, roosters and the occasional pair of lambs.